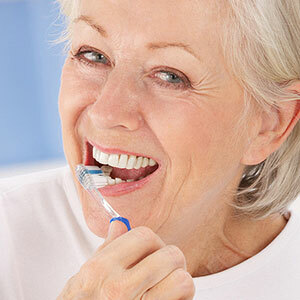 Improving your oral health may involve extracting a tooth occasionally. Our Cumberland, RI, dentist, Dr. Angeles Felix, performs tooth extractions and offers many other dental services and treatments that help you and your family keep your smiles strong. Impacted or Decayed Wisdom Teeth: Wisdom teeth become partially or fully impacted (blocked) if they're unable to push through tissue or bone. In addition to causing pain, impacted wisdom teeth may also damage nerves or cause nearby teeth to move out of alignment. Luckily, this third set of molars isn't absolutely necessary and can be removed without affecting your ability to chew. In some cases, erupted wisdom teeth must be removed if they become decayed. Orthodontic Treatment: Your dentist may recommend removal of a few teeth before orthodontic treatment begins if your teeth overlap or are crooked due to crowding issues. If the teeth aren't removed, there may not be enough room in your mouth to move your teeth into the proper alignment. 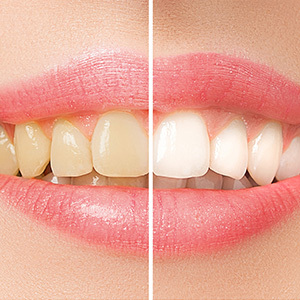 Tooth Decay: Fillings are usually the best way to restore teeth damaged by tooth decay. Unfortunately, if your cavity is so large that most of your healthy tooth structure has been destroyed, adding a filling or other restoration won't work. Once your tooth is extracted, you can fill the gap in your smile with a bridge or dental implant. Trauma: Your tooth may be damaged if you fall and happen to strike your mouth or you experience a blow to the mouth when you're playing your favorite sport. If the accident causes severe damage or splits a tooth root, it won't be possible to save the tooth. Dental Abscess: Dental abscesses are serious bacterial infections that occur when your tooth pulp becomes inflamed or infected. Abscess signs and symptoms include pain, fever, pus around a tooth, facial swelling, and swollen lymph nodes. A root canal can save your tooth in many cases, but sometimes, the infection doesn't go away even after you've had the therapy. If your tooth is still infected after treatment, or you don't want to undergo a root canal, an extraction will be needed. Do you need a dental extraction? Call our Cumberland, RI, dentist, Dr. Felix, at (401) 723-0350 to schedule an appointment.